Something strange began to happen in the Panamanian rain forest in 1996. Scientists noticed that golden frogs, members of the toad family, were mysteriously dying. There was no explanation for the bodies of golden frogs turning up in Panama and Costa Rica. 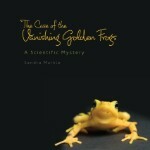 The book follows the work of diligent scientists, Karen Lips and Joyce Loncore, as they try to solve The Case of the Vanishing Golden Frogs. Markle organizes the book as a detective would lay out the facts of a case. Pollution, climate change and loss of habitat are all examined as possible culprits. The mystery is solved in a laboratory when Loncore discovers a fungus in the cells of a dead frog's skin. Scientists then work together to identify solutions to save the golden frogs from the fungus and possible extinction. Throughout the book, readers learn about the features of this unique amphibian as well as the importance of frogs to our ecosystem. Stunning, full-page photographs will draw in readers as they follow the quest of scientists determined to save the rare species. Each photo is accompanied by a clearly written caption. The back of the book contains rich supplemental material including an author's note, list of web sites, related books, and ways readers can help local frogs. I was impressed that children are provided with role models of two successful female scientists: Lips works in the field collecting samples and making observations in the rain forest while Loncore is stationed in a laboratory wielding her powerful microscope. Markle presents the story of the golden frog in a tone and format that will attract children and hold their attention making it an excellent nonfiction read aloud for an upper elementary or middle school classes. A "Lerner e Source"seal is printed on the back cover of the book encouraging readers to view related material on the Lerner web site. I visited the site (www.lerneresource.com) and was prompted to enter the book's ISBN number which took me to the book's web page. After clicking on "Esource Downloads," a list of web sites, two maps and ideas for student research projects were presented in PDF format. 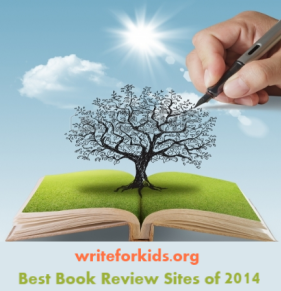 Pair this book with Frogs by Nic Bishop or The Frog Scientists by Pamela Turner.